Asking your friends and family to attend your wedding should be easy, right? But once you start composing your save the dates and wedding invitations, centuries of etiquette start looming over you and the theoretically simple task can seem much more daunting. Of course, rules are often made to be broken, and it’s good to know the origin of certain traditions so you can properly determine which to follow or eschew to express your personal style without veering off into the tacky. Save the dates (fortunately) don’t present too many complications; essentially, as long as you mention both of your names, event date, and location, and indicate that an official invitation is coming, the rest is up to you. Full names or first names? Long-winded or just the facts? Exact venue or city name? These announcements can be as casual or formal as you’d like. 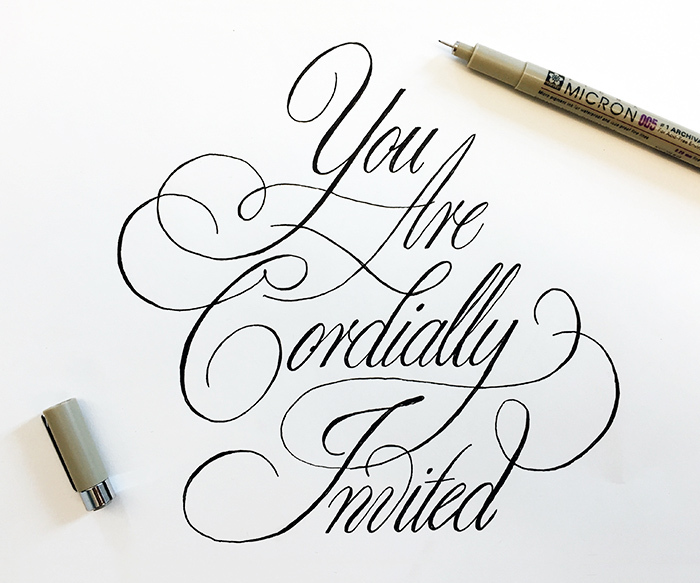 The invitation to attend is officially extended by the hosts—traditionally, the bride’s parents—who request either “the honour of your presence” (in a house of worship) or “the pleasure of your company” (elsewhere) as they give her away. To invoke a sense of formality, numbers are spelled out and British English spellings are used. Obviously, times have changed and families come in all shapes and sizes now (and the notion of a woman’s parents giving her away may not be for everyone anyone, anyway). Rather than simply doing things exactly as they’ve always been done, then, you might be better off tweaking the wedding invitation formula to your own ends. You might also want to change the reception line to clarify just what kind of party it’s going to be; clarifying that it’s a cocktail party rather than a dinner party, for example, will help guests know what to expect.